If you’re going to be relying on your new SUV as a family ride, we’re sure you’ll appreciate all of the safety functions that are included in the SUV. These various features play a role in not only protecting during an accident but also preventing those collisions from even occurring in the first place. Inclusions like the Blind Spot Monitoring System and LaneSense Lane Departure Warning (with Lane Keep Assist) provide drivers with an extra set of eyes, while the Forward Collision Warning (with Active Braking) offer some assistance if you ever get distracted. There’s even an Adaptive Cruise Control unit, which allows you to take a brief break without completely compromising safety. Even the Parallel and Perpendicular Park Assist, ParkSense Front and Rear Park Assist System, and ParkView Rear Back-Up Camera are notable safety functions, as they can reduce the chance you land in a minor fender. If you do find yourself in an accident, the 2018 Jeep Grand Cherokee will certainly keep you safe and secure. The front and rear crumple zones are intended to absorb a crash’s energy, keeping it away from occupants. Meanwhile, the seven airbags (including the inflatable knee bolster airbags) will provide occupants with the necessary amount of cushion. While the Jeep does an admirable job of assuring that drivers are protected in the event of an accident, the 2018 Chevy Traverse seemingly only focuses on preventing those accidents. However, the assortment of features surely work, as the nameplate earned a 5-Star Overall Vehicle Score for safety from the National Highway Traffic Safety Administration. Up front, drivers can lean on features like the Forward Collision Alert, the Front Pedestrian Braking system, and the Lane Keep Assist (with Lane Departure Warning). Outback, the Rear Vision Camera, Rear Cross Traffic Alert, and the Lane Change Alert (with Side Blind Zone Alert) assure you don’t end up in a fender bender. Chevy’s vehicles admirably include the Teen Driver Technology, which will monitor the young driver’s driving habits and pass the reports along to the parents. However, assuming you’re someone who is looking for an SUV for an adult, this inclusion isn’t all that alluring. Besides delivering an exciting driving experience, customers can also anticipate a comfortable, entertaining commute when they’re behind the wheel of the 2018 Jeep Grand Cherokee. After all, the SUV delivers a number of notable amenities that will drastically improve the entire driving experience. For starters, owners can choose how they want to adorn the interior of their new SUV. The brand offers prospective buyers the chance to choose from a number of upholstery offerings, including Laguna Leather and Natura Plus Leather Trim. The accompanying ventilated seats will assure that occupants remain comfortable throughout any journey, regardless of the temperature outside of the SUV. Of course, the real stars of the 2018 Jeep Grand Cherokee is all of the technological amenities that are included inside of the ride. It starts with the brand’s UConnect system, which delivers an assortment of applications via an intuitive 8.4-inch touchscreen. That means customers can listen to their favorite stations or rely on an extensive navigation system to help guide them to their next destination. Plus, thanks to the inclusion of the Apple CarPlay and Android Auto compatibility, occupants can seamlessly connect their smartphone to the unit, allowing them to make phone calls or send messages without compromising safety. If you want to jam out to your favorite tunes, you can turn to the nine-speaker Alpine Surround System or the 19-speaker Harman Kardon System. If you’re looking for ways to keep your rear passengers occupied, you can also consider opting for the rear entertainment system. The Rear DVD Entertainment Center provides a pair of nine-inch high-resolution screens along with a DVD/Blu-ray system. That way, even during the longest journey, your younger passengers won’t be dying of boredom. Chevy’s SUV doesn’t deliver the same rear amenities as the Jeep, meaning your rear passengers will surely be bored when they’re traveling in the vehicle. 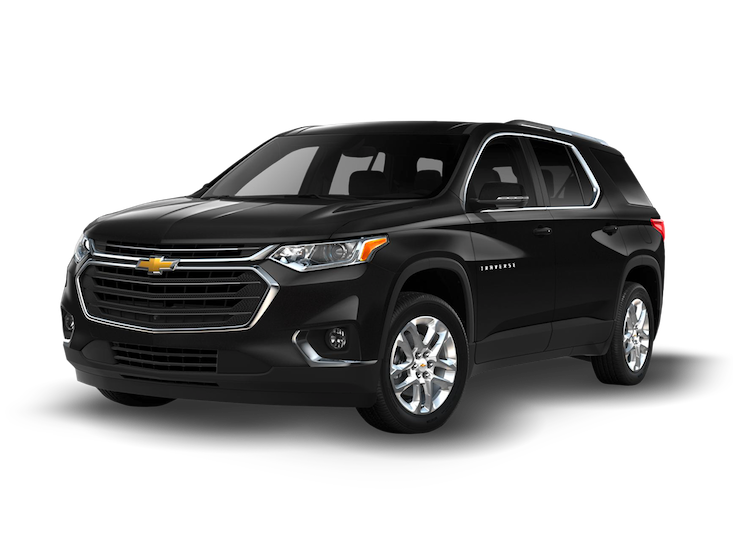 However, if you’re solely depending on the Traverse as a commuter, you’ll be content with the amenities that Chevy offers. The Chevy MyLink system is similar to the UConnect unit included in the Jeep, and the system allows drivers to access an assortment of applications via the touchscreen. The unit also includes Apple CarPlay and Android Auto compatibility, meaning you can turn to your smartphone when you’re tired of whatever is playing on the radio. The one advantage Chevy’s SUV has over the competition is the inclusion of the 4G LTE Wi-Fi. If you opt for this offering, you’ll be able to provide your occupants with a strong and reliable wireless internet connection. 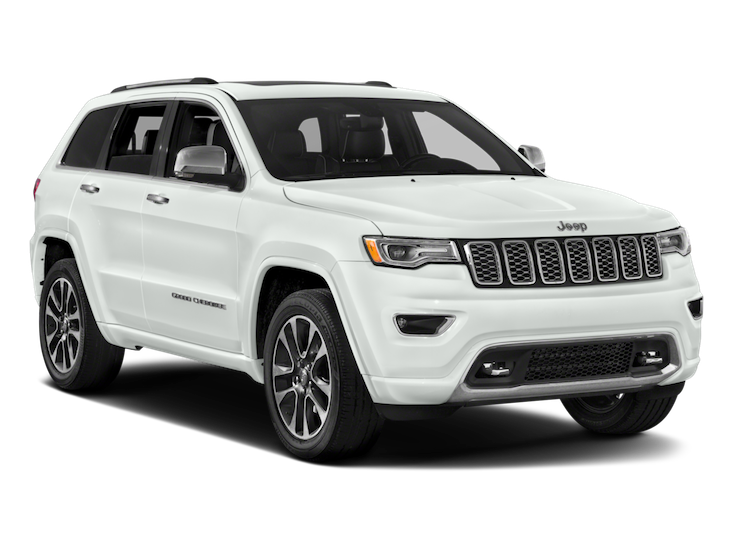 Regarded as one of the best bangs for your buck in the entire industry, the 2018 Jeep Grand Cherokee may be known for its style and versatility. However, the SUV still manages to pack quite the punch, making it perhaps one of the most underrated offerings in the class. Ultimately, customers will have the opportunity to choose between a pair of incredible engine offerings, with both of the units managing to pump out incredible power specs. The supercharged 6.2-liter HEMI V8 engine is the most powerful of the bunch, as the unique system manages to crank out a practically-unprecedented 707 horsepower and 645 pound-feet of torque. 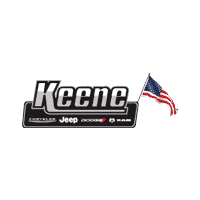 These various specs will transform the Grand Cherokee into the “fastest accelerating SUV,” while also giving it the accomplishment of having the highest torque and the fastest quarter-mile time. In other words, you’ll be hard pressed to find a more impressive engine offering elsewhere. Of course, the 6.4-liter HEMI SRT V8 engine is still a mighty impressive offering in and of itself. This mighty system doesn’t skimp on the power specs, as it manages to crank out an incredible 475 horsepower and 470 pound-feet of torque. Thanks to inclusions like the eight-speed automatic transmission and the Quadra-Trac Active On-Demand 4×4 System, owners can also anticipate a 7,200-pound towing capacity. For such a hulking SUV, you’ll probably be surprised to learn that the 2018 Chevy Traverse’s accompanying engines deliver an underwhelming amount of power. The 3.6-liter V6 engine is the “largest” of the two offerings, but the unit still only manages to deliver 310 horsepower and 266 pound-feet of torque. Accompanied by a smooth nine-speed automatic transmission, this variation of the Traverse admittedly delivers an enjoyable driving experience. However, if you take the wheel, you shouldn’t anticipate that you’ll be able to keep up with your fellow SUV drivers on the highway. The 2.0-liter four-cylinder engine is even less encouraging, as the unit only manages to deliver 255 horsepower and 295 pound-feet of torque. The Variable Valve Timing and direct fuel injection mean you’ll be able to save some extra cash at the gas pump… but the lack of power means it might take a while to get to that gas station in the first place.